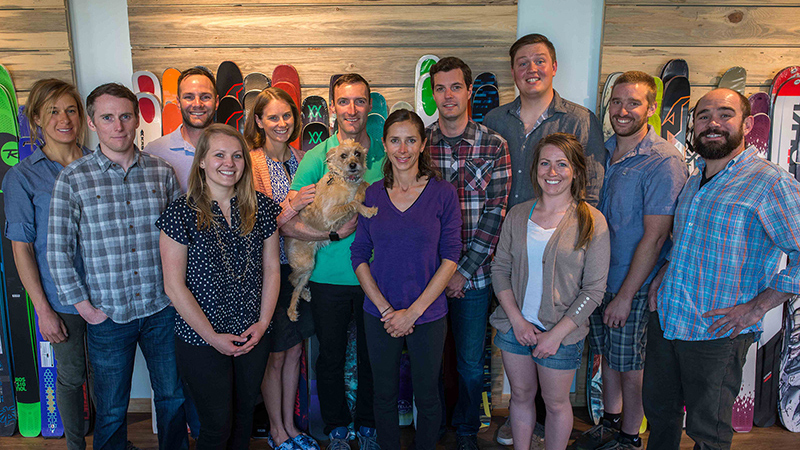 It started with a single pair of skis in Jordan's mom’s basement — our first world headquarters. 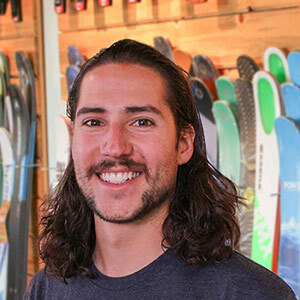 Jordan sold that first pair of skis, and made enough to buy two pairs, and with that, bought four pairs, and so on. 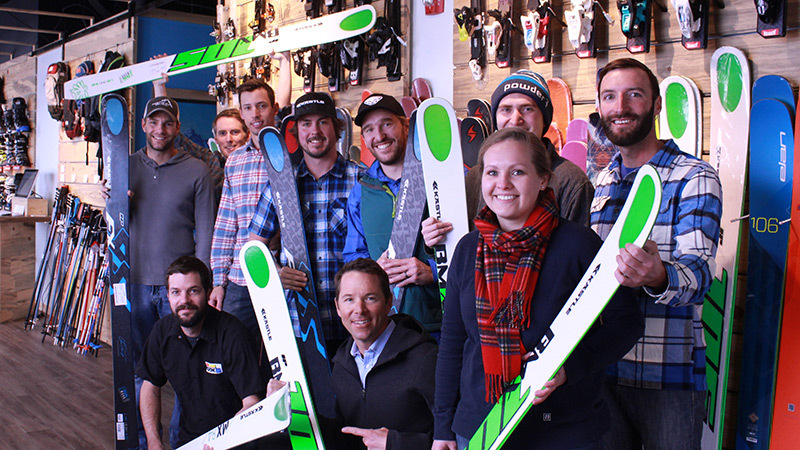 Noticing there wasn’t an efficient system in place for matching skis with skiers, we built a website and made one. 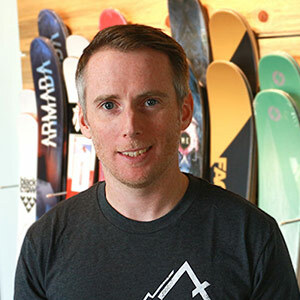 Nearly 10 years later with both a retail and an eCommerce presence, we aim to match skiers head to toe to their perfect gear for the mountain. Every morning we wake up striving to do better than we did the day before: better as a business, better as a place for our employees to work, and better stewards for our sport and our environment. Jordan and Amy met at Boston University, where they both competed on the track team. Jordan, a senior who had earned spending money throughout college selling gear on eBay. Amy, a freshman who built Geocities websites in her spare time. Despite Jordan attempting to charge Amy $5 admission to a party, sparks flew, emotions ran high, and they have been inseparable ever since. 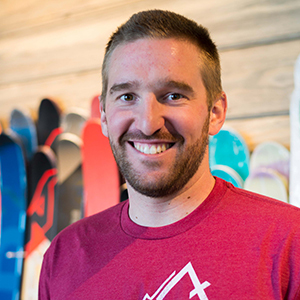 Jordan moved to Colorado after graduating and balanced life as a Denver Police Officer and professional triathlete. 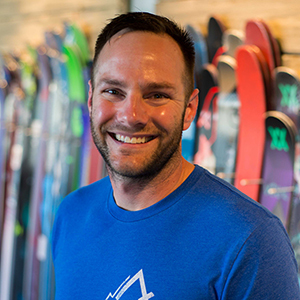 A dedicated skier as well, he saw the opportunity for a web focused Colorado ski shop that could serve local skiers while shipping every business day to serve skiers nationally. It was a tough decision, but Jordan left a career with the police behind to pursue his entrepreneurial dreams. 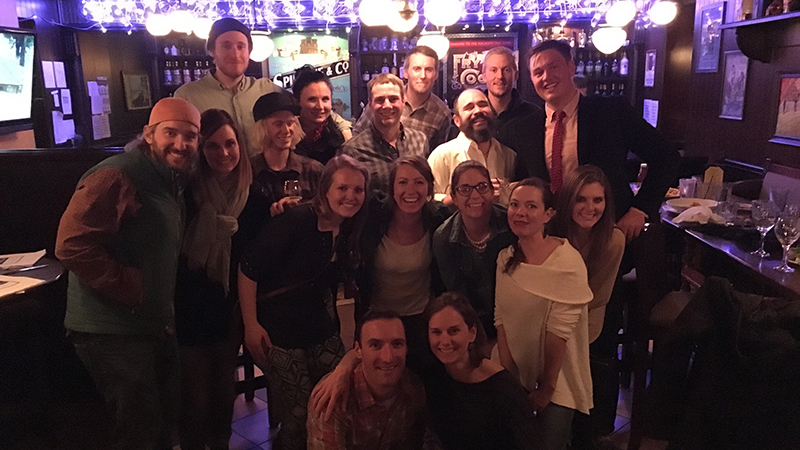 The same week that Jordan left the police, Amy graduated from BU and headed west to Colorado, joining Jordan. By October of 2007, they moved from their garage into a proper, albeit a bit rough-around-the-edges, warehouse. Jordan and Amy taught themselves the basics of writing computer code to drive the ecommerce capabilities of the new site so they could wean their business off of eBay. Joining Jordan and Amy was their friend, Ofer, and a newly adopted terrier, Gulliver. For the first several months, they would load the boxed orders into their station wagon each afternoon, racing to the post office before closing time. As months went by, shipping, among many other aspects of the business, went from how-do-we-do-this controlled chaos to a streamlined and efficient system. 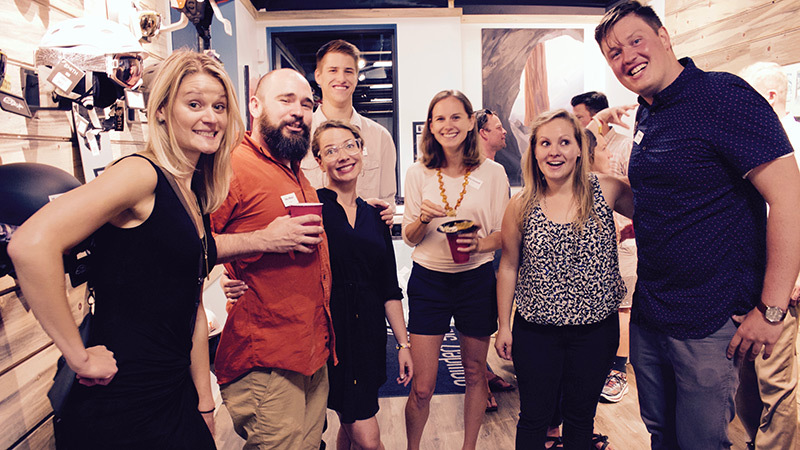 Amy and Jordan steadily put their college microeconomics classes to use in figuring out how to build a business. More importantly, they applied their life values to building a business that makes customers happy, has a motivated and highly valued staff, respects our environment, and grows organically. 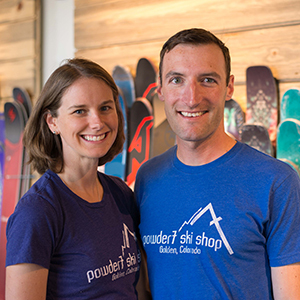 In 2009 they moved Powder7 a few miles down the road to Golden, a mile from their home, where they've been ever since, expanding into adjoining spaces in 2011 and 2015, doubling their space each time. 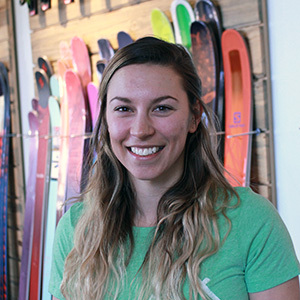 Long ago Powder7 grew too big for a team of two and is proud to employ some of the best and brightest staff in the ski industry. 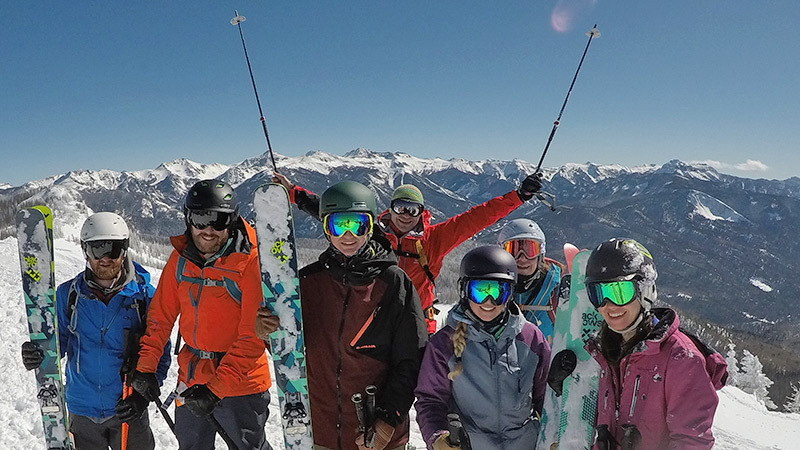 Some of our staff have been with us for more than 5 years (which earns them a one month paid sabbatical to use as they wish, possibly for a dream ski vacation). 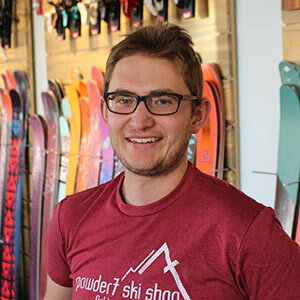 Today, we believe that we have the best ski shop in the Denver area as well as the best ecommerce ski shop in North America. 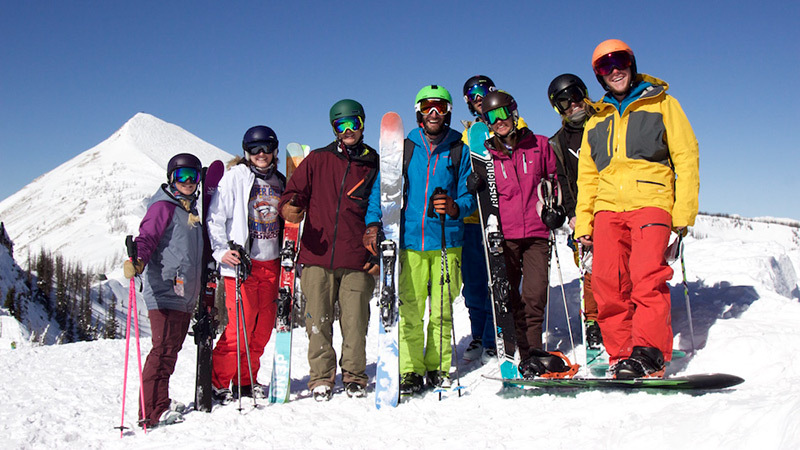 We are open year round and continue to dedicate ourselves to skiing. 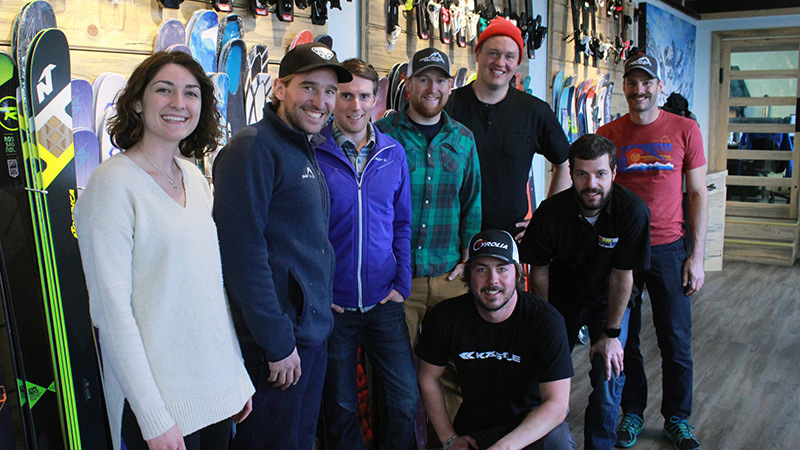 We love biking, running, and everything else you can do on mountains but we like to try to be the best at something and that thing is helping skiers get the gear they need. 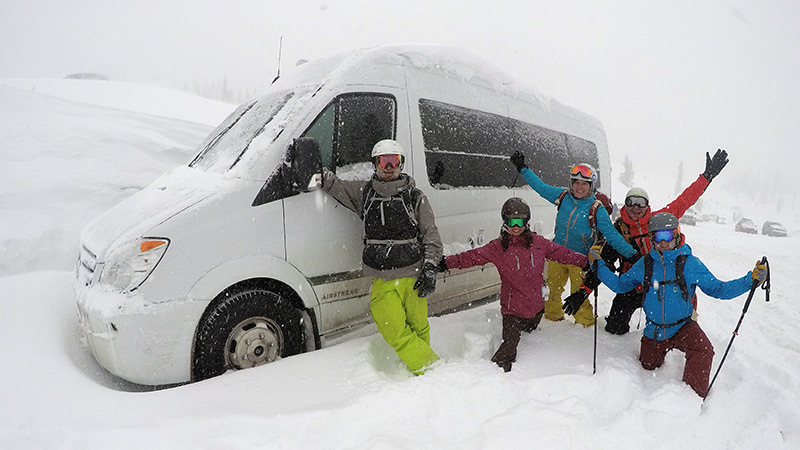 We have a team of about 20 at the peak of the winter and employ most of our staff year round. 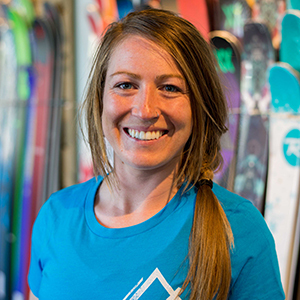 Together, Amy and Jordan own Powder7. When they aren't at work, they enjoy spending time outside with their two young sons, Alistair and Jurgen, and their fiery terrier, Gulliver. 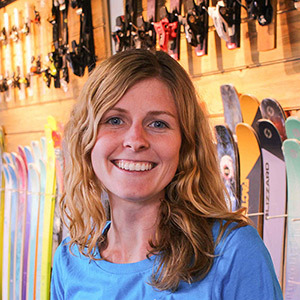 Amy enjoys trail running in the foothills and seeks hike-to terrain on the ski mountain. A born and bred east coaster, Amy has high standards for pizza and subs (not hoagies). A distance runner, mountain biker, nothing makes Amy happier than getting outside with the ones she loves. Jordan enjoyed a successful side career as a professional triathlete, best known for winning the New York City Triathlon in both 2012 and 2013. A competitive athlete, self-taught coder, and a vintage car lover, Jordan is perhaps the only former pro triathlete to huck the Knife Ridge stairs at Wolf Creek. 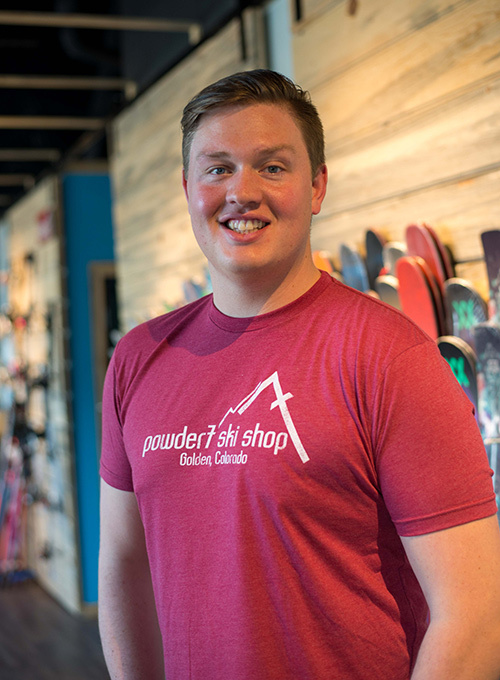 Buyer and manager of our customer service team, setting Powder7's standard for customer interaction excellence. Zack’s perfect Saturday is spent biking between microbreweries and hanging out with his wife and their golden retriever, Gracie. 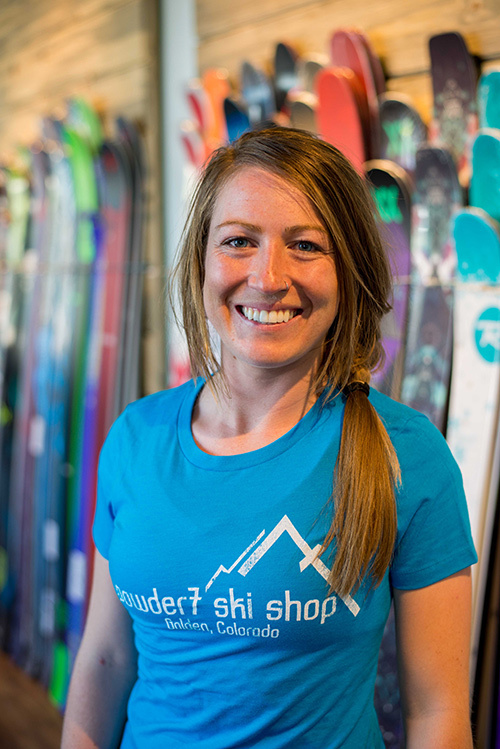 A snowboarder turned skier, mountain biker, and Harley rider. Our head data analyst and operational guru. 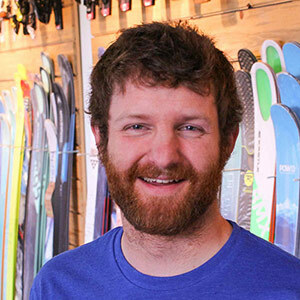 Outside of work, Justin is a long-distance runner and a hiker who tackled the Pacific Crest Trail. A native Vermonster, tennis enthusiast, and modern marvel. He is a true renaissance man. Ace of the tuning machine and a long-time ski technician. In summer months, you can find Blake riding his mountain bike, rubber-side hopefully down. A husband, frequenter of Disco Biscuit concerts, and Phish-head. Our graphic designer and an accomplished artiste who painted the Wolf Creek murals in Powder7’s shop. As long as there’s some semblance of snow, she’s skiing, or talking about skiing, or maybe just quietly thinking about it. 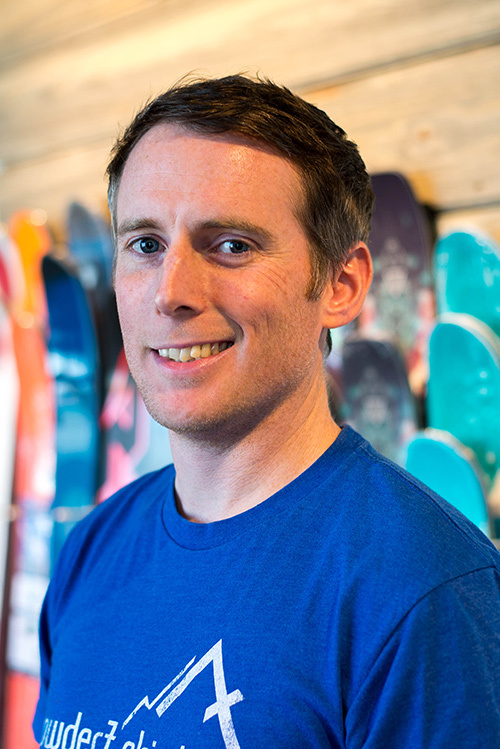 A whitewater rafter and designer of all your favorite Powder7 Schwag. 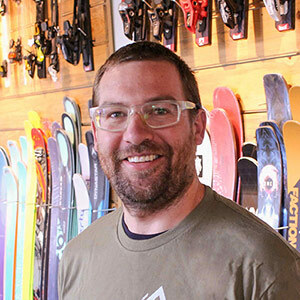 One of our beloved ski technicians who came to us from the bicycle world. In his free time, Chris trains for triathlons with his wife, making him one half of your favorite power couple. A devoted father, roadbiker, and lover of all things outdoors. 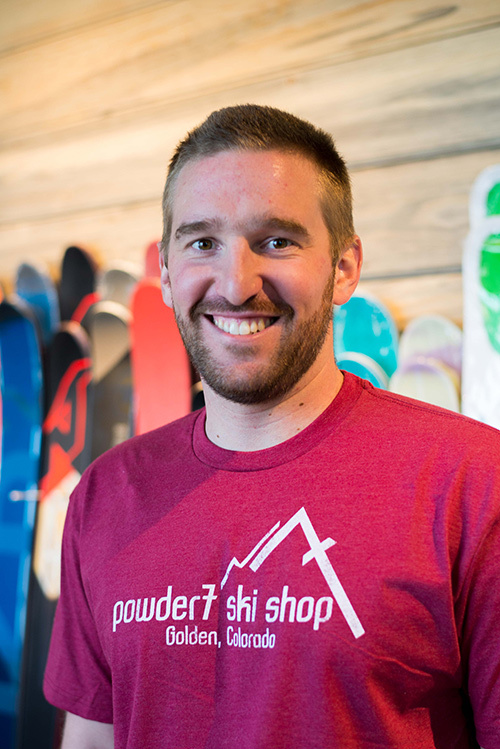 A hardgoods buyer and manager, though he’s worked just about every position at Powder7. 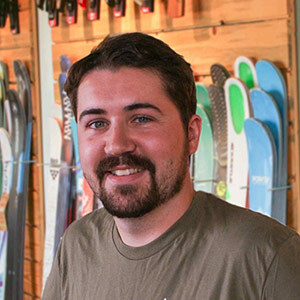 Mike has a buddy at every ski hill, giving him good reason to be a traveler. A skilled mountain biker and jack-of-all-trades. El Capitan of our warehouse and fearless leader of the shipping team. Terol’s spirit animal is a T-rex, but the animal shelter was fresh out; instead, he adopted a playful pup named Linus. 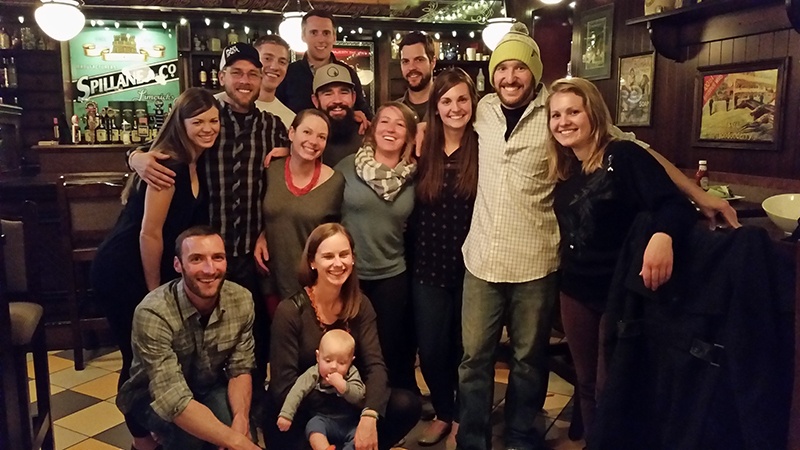 A mountain man and competitive cyclocross racer above all else. 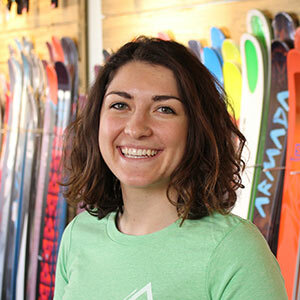 Our softgoods buyer and authority on all things fashion. Lauren’s most prized possession is her set of Rihanna nesting dolls. 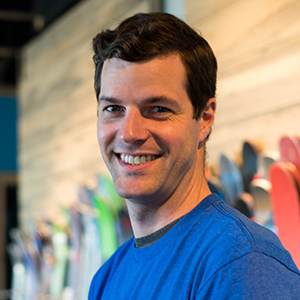 A cross-stitcher, mogul skier, and No Name fan. 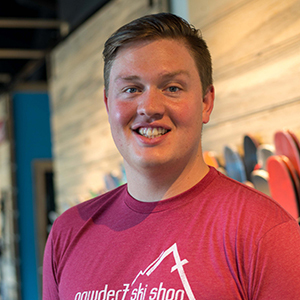 Whether you’re a seasoned expert or it’s your first time on snow, we believe in curating a shopper experience that will deliver on the customer’s specific needs. Before we recommend a product, we assess the customer’s experience level, budget, and tastes. We welcome feedback, believing that the customer is key to ensuring our business remains leading-edge. Fun fact: our team doesn’t work on commission and customers can interact with any employee and receive superior customer service. 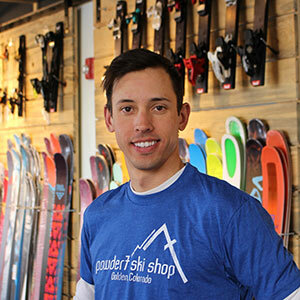 Everyone on our team is a skier, and has expert knowledge of the gear we sell. 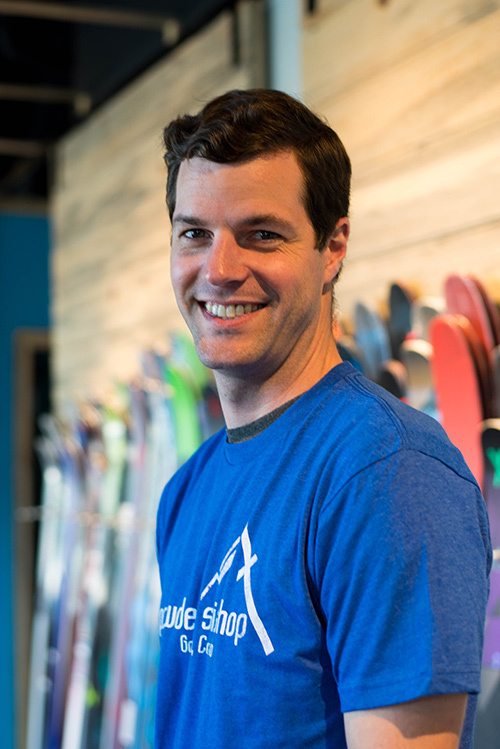 We hire staff who share in our beliefs and have a genuine desire to spread their love of skiing with customers. We empower teamwork and collaboration which creates an environment of mutual respect and loyalty. Our owners are involved in our day to day operations and believe in the importance of open communication between staff at all levels, valuing feedback from all employees. Fun facts: we offer a one month paid sabbatical after 5 years, paid vacation after 1 year, and use of our company adventure van after 1 year. 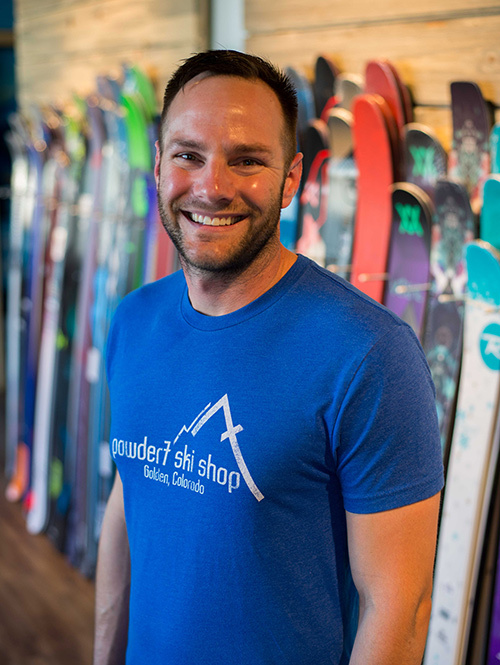 We have the privilege to be a part of several communities, including the local community of Golden, Colorado, as well as the local and global ski communities. We contribute time and resources to each of these so that others may learn from us, and to support causes that benefit each of these communities. We are dedicated to supporting public schools within the Golden community and environmental efforts throughout the state of Colorado. 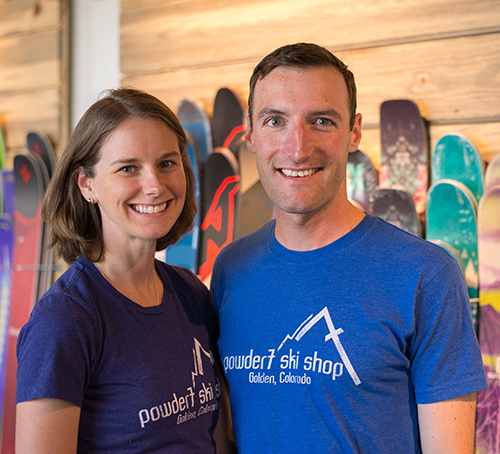 Fun facts: Our owners, Jordan and Amy, live one mile from our shop and are heavily involved in our town: from volunteering their time with the Golden High School Cross Country Team to sitting on the Visit Golden board. We want future generations to enjoy skiing just as much as we do, which is why we take seriously our role in preserving the environment. 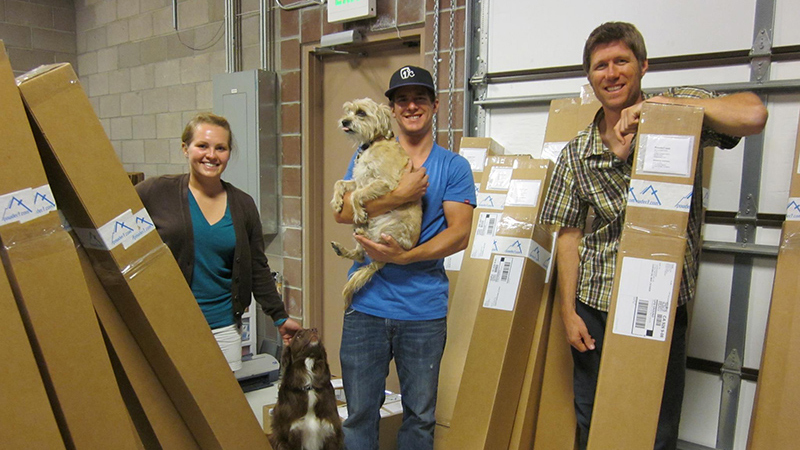 We work closely with Conservation Colorado and Protect Our Winters on sustainability efforts.